Are you new in generator market and looking for a generator to buy? Well, you must be confused about different types of generators as most people are unknown about the differences among conventional generators and inverter generators. So, in this article we answer the question, what is an inverter generator? We know that it is difficult to understand a generator from a technical perspective. So, we will provide information on understandable manners. We will discuss how it works, the main advantages and disadvantages and some ore. This article can be useful if you are looking for buying a new generator and want to know more about various generators, especially about inverter generator. We know knowledge is power, so we try our best keep our article readers well informed. Before learning about what is an inverter generator, let’s have a look at most common types of generators. What Is a Conventional Generator? Conventional generators are around for a long time in the market. They are the mostly used generator today. Convention generators run on petrol, diesel and other gasoline (we can choose various types of gas). This fuel power up the motor which was generally attached with an alternator which it produces electricity. The motor keeps running without changing the speed to produce desired current output. The engine runs typically at 3600 RPM (round per minute) speed and delivers 120 Volts of AC with 60 Hertz frequency in the US and 240 Volts of AC with 60 Hertz frequency in other countries. The motor RPM remains the same because any change in RPM causes current frequency shift. Inverter generators are most recent technology. The latest advancement in an electrical circuit and efficient use of magnets made it possible to invent inverter generator. Like its name, this generator produces AC then, converts to DC and again inverted back to noise-free AC. The main advantage here is that it produces a constant flow of clean electricity source for your appliances. The standard conventional generator produces electricity by running an alternator. The governor controls the amount of supplied fuel and keeps a constant running speed. The more the power needed, the more the speed it requires. However, the governor cannot operate with 100 percent efficiency and the change in speed in alternator disrupts output frequency and voltage producing an unclean source of electrical power. However, many modern conventional machines use AVR (Automatic Voltage Regulator) System to stable the output voltage. However, they still cannot control the change in frequency, and therefore conventional generators are still prone to harmonic distortion. The use of double conversion (inverter) technique, current inverter generator removes this problem and produces a high quality clean electric power source. Another essential feature of inverter generator is parallel functioning. Two or more Inverter generator can work together to produce higher current. You can add two diesel inverter generator if need to double the power. This proves helpful when you need to increase the amount of present you required. However, not all inverter generators support this option. Inverter Generator further decreases the amount of fuel consumption by lowering the engine revs when demand is less. If demand increases, it can quickly increase the system revs to output more current without delaying which ensures system reliability of electrical equipment. Being one of the latest innovations, inverter generator uses more circuitry to run in much quieter than conventional generators. An inverter generator is lightweight and highly portable which means you carry wherever you need to. Inverter Generators are modern technology which has less likely any disadvantage. However, there is a significant disadvantage, which is a high price. Compared to the conventional generators, inverter generators are much pricier. This is because of the added circuitry and technological advancement for cleaner energy. Being smaller in size inverter generators are very suitable for various recreational purposes like outdoor meeting, camping or any situation when you need a portable power source. However, if you need more power, you can connect more than one generator in parallel mode to increase the power output. For parallel connection, we recommend champion 2000 watt inverter generator which is highly portable, noise-free, quiet inverter generator. 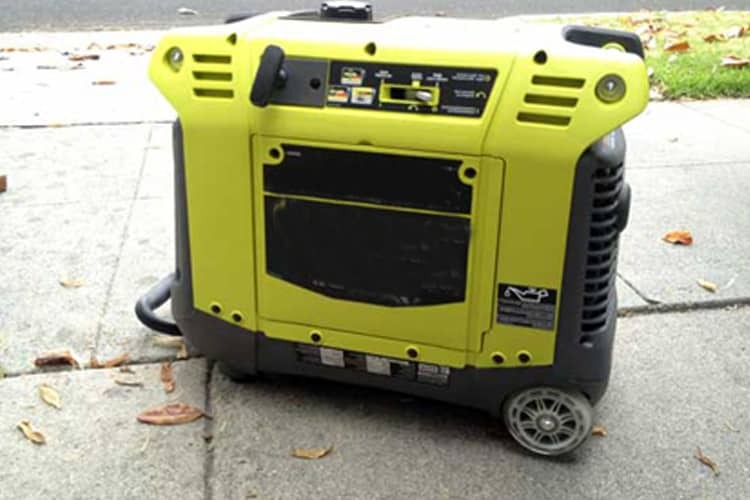 You can also consider harbor freight inverter generators, which are good when connecting two or three generators at the same time. However, anyone who uses generator regularly for powering electrical equipment can consider inverter generator, as they consume less fuel and produces clean power source which is very suitable for any electrical equipment. By now, we believe you have understood what we have tried to let you know about “What is an inverter generator?” Inverter generators are the latest innovation. They are much complicated to manufacture and contains small electrical circuits which ensure less distortion in power output, small design, and safety of electrical equipment. It also requires smaller fuel tank which makes more portable. For home, small office or personal use these are best generators you can use. For more information, you can write to us at any time. 8 How to Use Tap and Die Set for Home Machines and Power Tools?